After secret agent James Bond foils an assassination attempt on his boss, he discovers the involvement of an international crime syndicate called Quantum. 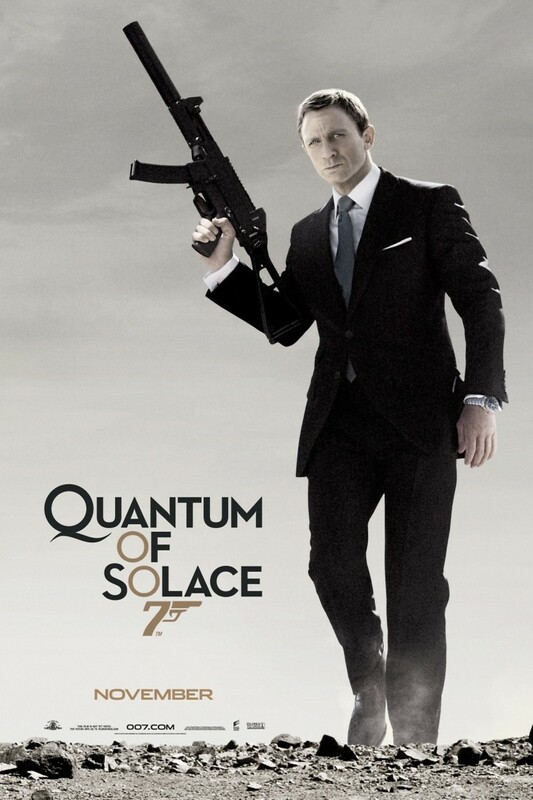 Bond's investigation of Quantum leads to a rescue of Camille, the lover of a corrupt environmentalist, Dominic Greene. Bond becomes determined to take down Greene and Quantum, so much so that he ignores orders to return home, which results in the revocation of his passport and credit cards. Now rogue, Bond is able to infiltrate deeper into Quantum with the help of another agent, Strawberry Fields. Bond discovers Greene's master plan, which is to control the entire water supply of Bolvia. Fields is murdered, but Bond is able to extract revenge by stopping Greene's plan and bringing an end to Quantum's many corrupt activities.